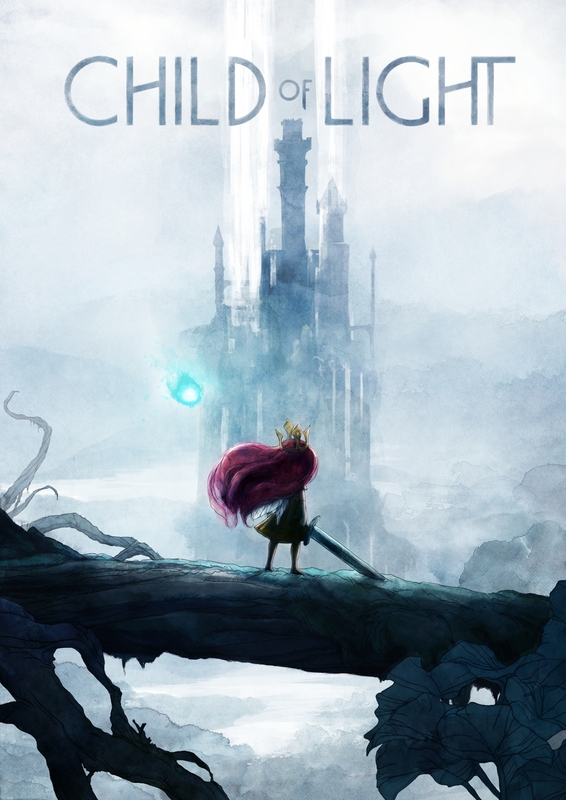 Above are quotations from Ubisoft’s trailer for Child of Light, which at first glance appears to be the story book inspired JRPG-style adventure of a young girl battling her way through peril to meet her destiny. This is definitely topping my list for most anticipated game of 2014. If I could pick one game that I now know of to have existed when I was a kid, it would be this one. Ten-year-old me would have flipped out over this game. Rarely do we see female protagonists in the context of bravery, adventure, and glory, and female children perhaps even less so. This game appears to combine everything I want from a game: JRPG style, fantastic art direction, and the reinvention of a classic story of a brave hero in a fantasy landscape. I only hope it can live up to my now incredibly high expectations. Even more good news? It will be available on PC, Wii U, XBox One/360 and PS3/4. You can watch the wonderful trailer right here. Doesn’t it looks absolutely fantastic?! I’ll admit, I’m not a huge fan of side scrolling platforms, but the turn based combat combo is promising. Yeah! I forgot to mention the co-op, but that sounds fun 🙂 I love platforming and turn based combat, so the combination kind of makes me want to scream with joy. And it’s just SO BEAUTIFUL. I have been consumed by Pokemon Y. Not very far in it, but man my brain keeps exploding with cute. I can pet my cartoon fox! OH man I know. I’ve somehow racked up 80 hours already, and I work over 40 hours a week… so my life has basically been pokemon and work (which explains why my blog has been inactive lately :P) I’m loving how easy it is to train my pokemon for competitive battle now with the super training! And so many of the new pokemon are really cool, I want to train tons! Super Training made it possible for people with jobs to be competitive battlers. I love that I got the roller skates right off and the Exp share quickly (and can turn it on or off) because it lets you just play and explore and have fun with feeding your cartoon hamsters if you want.